The Kelty brand may seem trendy and up-and-coming to the world at large, but it is well established in the circles of outdoor enthusiasts. Comprised of a group of passionate explorers, Kelty is based out of Boulder, Colorado. Their mission is producing quality, simplistic outdoor gear that will last for generations. Their products are known for being “built to endure”. When it comes to being passionate about the outdoors, Kelty doesn’t just talk the talk- they walk the walk. They are involved in giving back in a big way- supporting both the Conservation Alliance, who work to protect threatened wild habitat, and Big City Mountaineers, who help under-served urban youth experience the wilderness through mentoring expeditions. Choosing to shop with Kelty is choosing to invest in company that is doing good. It is also a wise decision in trusting manufacturing professionals who have actually traveled the world and experienced the needs of a true outdoor adventurist. If you enjoy our Kelty Red Cloud 90 Backpack Review and want to find out more about similar products or the brand itself, we highly recommend that you visit their official website. It has an abundance of information about Kelty backpacks and their other camping essentials products. The Blog section is incredibly diverse and unique because it features five different themes and writers that you can follow; topics range from Big Trips to KELTY How To’s. So if you want to learn about avoiding the crowds at Grand Canyon National Park or the best cabin getaways in Colorado, this is the place to go. You can find all the best advice on how to maximize your time outdoors and how to select the gear that will suit your level of experience. From recreational beginner to seasoned outdoor professional, Kelty offers excellent gear for every occasion and need. Finally, check out Kelty’s travel photos on instagram, you might even stumble upon your next road trip or travel destination! Black – An absolute classic. For the no-fuss traveler who enjoys simplicity and a clean look. Twilight Blue – A timeless look for modern urban explorers who love simple designs. Ponderosa Pine – A youthful, sporty green that is easy on the eyes. The piping in bright green is an eye-catching complimentary accent. The look and design will stay the same no matter which color you select. For a pack that has so many functions and large load carrying capacity, it offers a sleek and modern look, assuring you that you’ll travel in style. The Kelty Red Cloud 90 comes in just one size. An empty backpack weighs 5 lbs 6 oz. The volume is 90 liters. 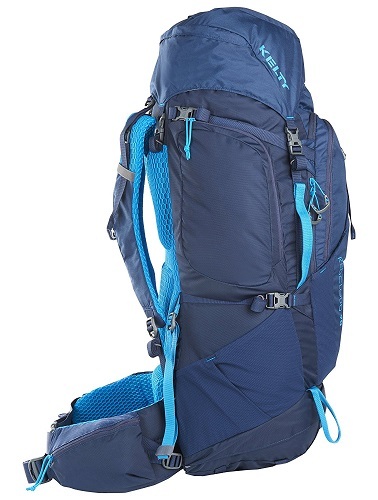 This cavernous pack is super easy to load with a top loading design and sleeping bag compartment. Don’t worry about having trouble accessing things quickly- with the front-panel access and zippered side pockets it’s easy to grab your most-wanted items with ease. These design features will definitely come in handy when you are out on the trail. The pack scores bonus points with design elements like hydration compatible design (good for snacks!) and hip belt pockets for small items. We also love that the pack is adaptable- if you’re just going for a day trip, the lid of the pack also converts into a sling pack! The design is clearly thoughtful and functional for the variety of needs an outdoor enthusiast may encounter. We just wish Kelty Red Cloud 90 came in more color combinations for the traveler who’s looking to express their personality and style through their gear. This is why the Overall Rating for Style and Design comes in at 4 stars out of 5 stars. The unexpected spectacular level of comfort the Kelty Red Cloud 90 backpack provides is what verified Kelty customers rave about the most. A pack that holds a sleeping bag and all the other necessary gear for serious backpacking is bound to feel heavy and put a strain on your body. But the Kelty Red Cloud 90 offers a different experience thanks to some very thoughtful design elements from a team of craftsmen who are clearly hikers designing for other hikers. The Kelty Red Cloud 90 is designed with PerfectFIT™ suspension. Built to be fully adjustable to fit the length of your torso and carry a heavy load, the pack provides unparalleled stability and comfort on your journey. The hip belt provides direct transfer of your load’s weight. The anti-barreling stays keep the scapula pad on the pack flat–no matter how much you’ve packed in there! The waist belt improves load-support with its dual density design and provides extra carrying comfort as well. The multiple positions for load-lifters straps keeps the pack weight from shifting while you trek. Finally, the Kelty Red Cloud 90 pack comes equipped with AirMesh shoulder straps, waistbelt, and lumbar pad which is designed to keep air well-ventilated while you wear it. As an option, the pack’s hip belt can be removed. 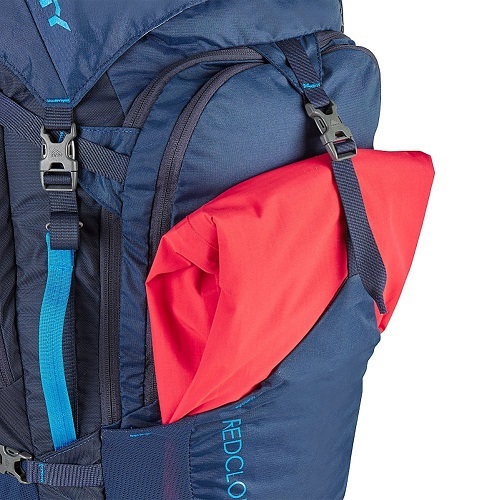 The Overall Rating for Comfort of The Kelty Red Cloud 90 gets 5 out of 5 stars. Every detail of this backpack is well designed to be light, supportive and breathable. It’s adjustability makes it possible to practically custom fit anyone’s size or build. The details, such the PerfectFIT™ suspension and lightweight aluminum frame are designed specifically with the backpacker’s experience in mind. You will immediately notice how firm and well-crafted the Kelty Red Cloud 90 feels the moment you try it on. The backpack is made up of several different high-quality materials to make it light yet ultra-durable, the perfect formula for backpacking. The body of the backpack is made of Poly 420D small back stafford material. The pack is reinforced with Poly 75x150D Tasser Coal. Finally, the frame is constructed from LightBeam™ aluminum and high-density polyethylene. This recipe for success has proven tried and true and is a major reason why the Kelty Red Cloud 90 pack has been a staple in the Kelty collection for years. If you ever did need it, the Kelty Red Cloud 90 backpack is backed with a lifetime warranty from Kelty. They stand behind the craftsmanship of their products and offer excellent customer service. The Overall Rating for Durability of the Kelty Red Cloud 90 gets 5 out of 5 stars. For hikers who strive to find excellence and durability at an affordable price, the Kelty Red Cloud 90 delivers. For all it’s functionality, you will get a bag you can count on. Incredibly damage resistant, the Kelty Red Cloud 90 will stay with you for years of outdoor adventure. We have already covered several of the key features in this Kelty Red Cloud 90 backpack review, but going over the entire list will be beneficial to those of you seeking certain specifications. Even though this backpack can be used for short outdoor adventures, it is truly designed for long term backpacking travel. 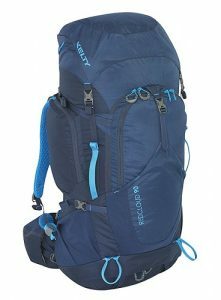 The Overall Rating for Features of the Kelty Red Cloud 90 backpack get a 5 out of 5 star rating. Kelty exceeds all expectations in features of comfort, surprising even the most rigorous backpackers. It’s careful addition of features for durability and convenience make it incredibly functional and a spectacular buy. 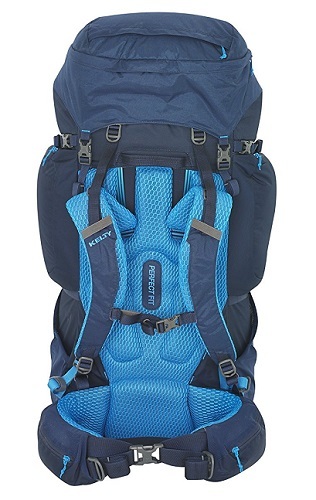 The Kelty Red Cloud 90 backpack is one of Kelty’s mainstays and best sellers. It has been a staple signature product in their collection for years and it’s clear why – the price is quite reasonable for the truly impressive quality of the product. You are making an investment in an amazing backpack that can last you for years. Coming in at an above average price-point, it’s not cheap, but this is really a case of getting what you pay for. The pack’s materials are ultra durable and that’s a peace of mind worth investing in when you’re going to head out on your next big adventure. The design is very modern and simplistic for those who are minimalist and classic in style. The Kelty Red Cloud 90 backpack is professional hiking gear at its finest. It will be more than enough for your next camping trip, as well as your dream backpacking excursion. Perfect fit – Designed with advanced suspension technology, it doesn’t matter your size- the Kelty Red Cloud 90 can be adjusted to feel as if it were custom made to fit you. With support built in to all the right places, the weight of your pack is evenly distributed to make your long trek as comfortable as possible. 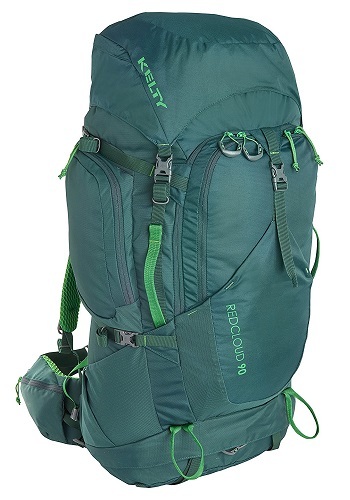 Dual functionality – The Kelty Red Cloud 90 pack is first and foremost designed for serious backpacking. 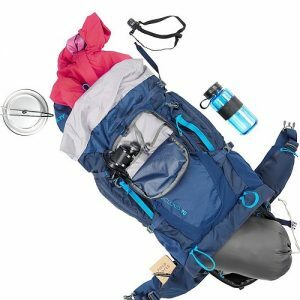 But a huge benefit of this pack is that it can be multi-functional; the lid of the pack converts into a sling pack, which is perfect for when you just want to take a quick daytime hike. Organization – With front-panel access and zippered side pockets your most-needed items will be easily accessible! Every backpacker will need to stay fueled, and the Kelty hydration compatible design and hip belt pockets for small items make for great snack storage. 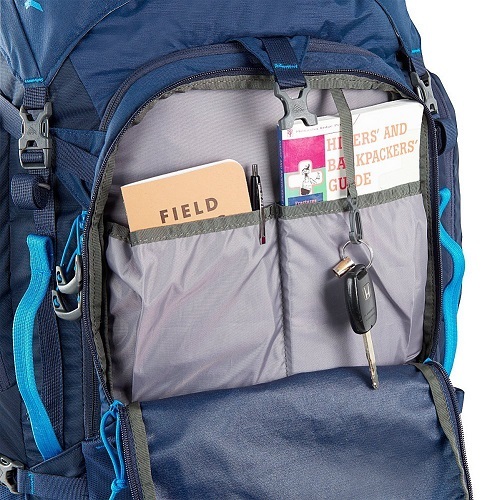 Staying well-organized on your long backpacking trek will be no problem with this pack. 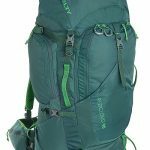 Lifetime Warranty – A lifetime warranty is almost required for hiking backpacks and luckily Kelty does not disappoint. Limited colors and patterns to choose from – The only real complaint we can make about the Kelty Red Cloud 90 is that it is limited when it comes to variety of color options. For the traveler who is looking to express themselves and their style through their travel gear, this may be a source of disappointment. 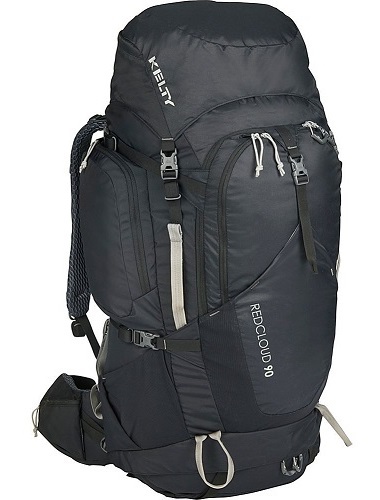 The Kelty Red Cloud 90 backpack is an impressive, top-of-the-line backpacking product. 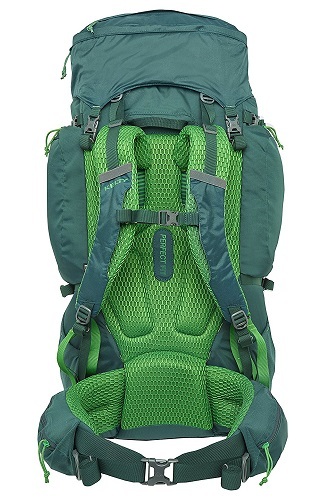 Although it’s not a brand new release, this pack if a favorite on the market because of its high quality materials and truly thoughtful design. Now serious backpackers don’t have to choose between a pack with heavy-duty durability or uncompromising comfort. The Kelty Red Cloud 90 has it all and gets a rating of 4.5 stars out of 5! If outdoor adventure is your passion, we think this pack is definitely worth your investment- it’ll be with you a long time.